The first bodies found were those of a feisty millionaire widow and her daughter in their posh Louisville, Kentucky, home. Months later, another wealthy widow and her prominent son and daughter-in-law were found savagely slain in Winston-Salem, North Carolina. Mystified police first suspected a professional in the bizarre gangland-style killings that shattered the quiet tranquility of two well-to-do southern communities. But soon a suspicion grew that turned their focus to family. The Sharps. The Newsoms. The Lynches. The only link between the three families was a beautiful and aristocratic young mother named Susie Sharp Newsom Lynch. Could this former child “princess” and fraternity sweetheart have committed such barbarous crimes? And what about her gun-loving first cousin and lover, Fritz Klenner, son of a nationally renowned doctor? 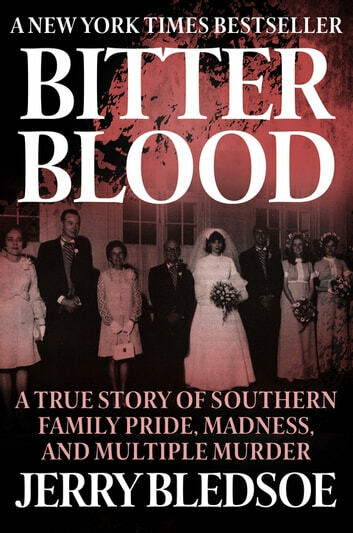 In this powerful and riveting tale of three families connected by marriage and murder … of obsessive love and bitter custody battles, Jerry Bledsoe recounts the shocking events that ultimately took nine lives, building to a truly horrifying climax that will leave you stunned. Langdradig verhaal. Verhaal vloeit niet altijd makkelijk over. Je kan rustig 10 bladzijden overslaan en je mis niks bijzonders. Kortom, ik zou 't niet aanbevelen.